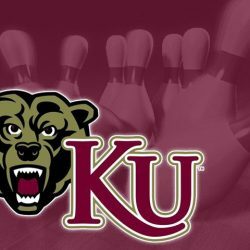 KUTZTOWN, Pa. – The Kutztown University women’s bowling team was recognized with an Academic Team Award from the National Tenpin Coaches Association (NTCA), while also having five student-athletes named to the All-Academic Team. As a program, KU held a 3.251 GPA last year. To be recognized, a program must have a cumulative GPA of 3.2 or higher for the academic school year. This season, there were 36 programs that reached this milestone. To be recognized, a student athlete must have a cumulative GPA of 3.4 or higher for the academic school year. This year there are 229 honorees, representing 50 NCAA programs.